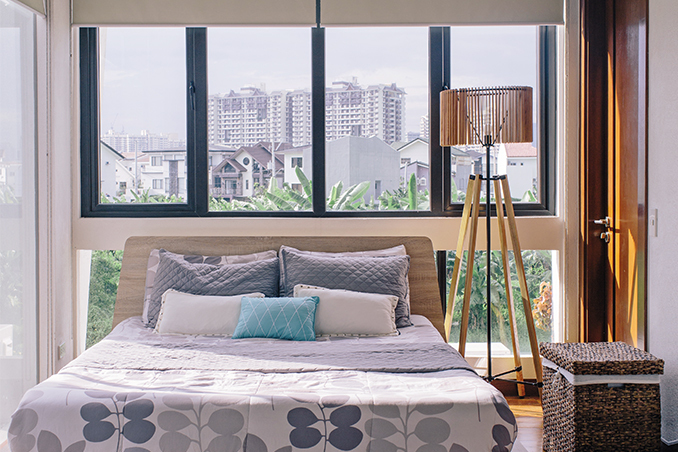 Since couple Val and Arlene Castaneda spent most of their savings on buying their 183sqm house, they decided to decorate the space themselves. Inspired by Scandinavian color scheme, they retained the original white and wooden tones of the home. They furnished the space with mid-century modern pieces, including chairs based on the designs of mid-century designers Charles and Ray Eames. The homeowners also chose furniture with clean lines and basic shapes. The space is completed with bright accent pieces and interesting decorative items. These unexpected details add color and charm to the three-storey home. Read the original article ("The Happiness Project") in the December 2014 - January 2015 issue of Real Living Magazine. Download your digital copy of Real Living on the Real Living App now! Log on to summitnewsstand.com.ph/real-living for more details.